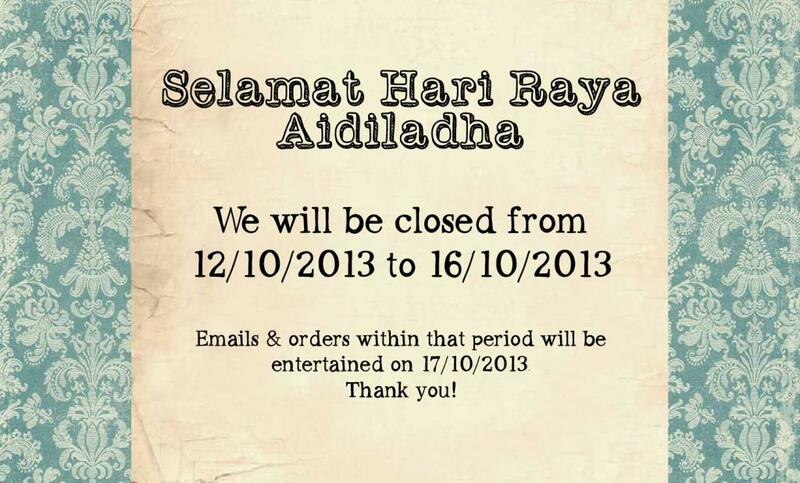 In conjunction with this celebration, we will be closed starting from tomorrow, 12th October 2013 till 16th October 2013. We will resume business as usual on 17th October 2013. Selamat balik kampung and be safe everyone! Enjoy the long holidays!